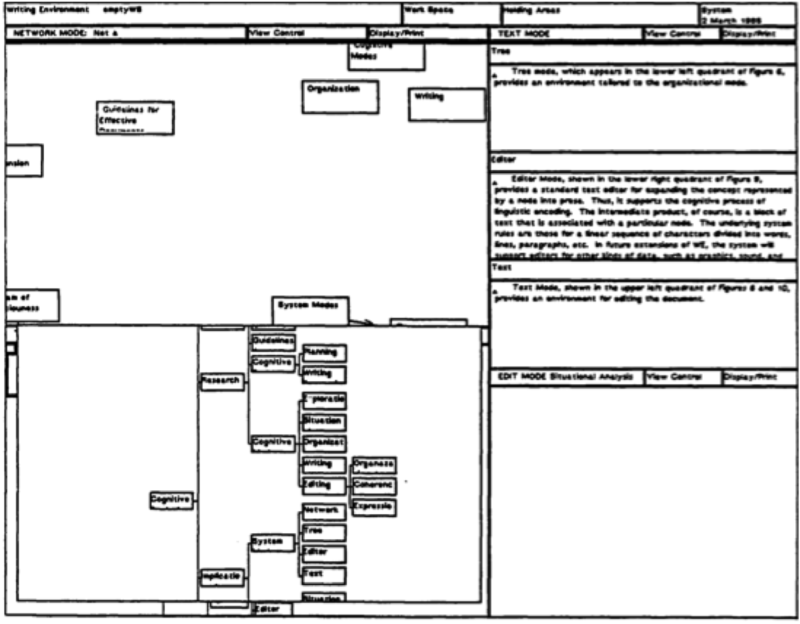 Anyone really interested in the consequences of the cognitive model of writing for writing software, may also want to take a look at this PDF. 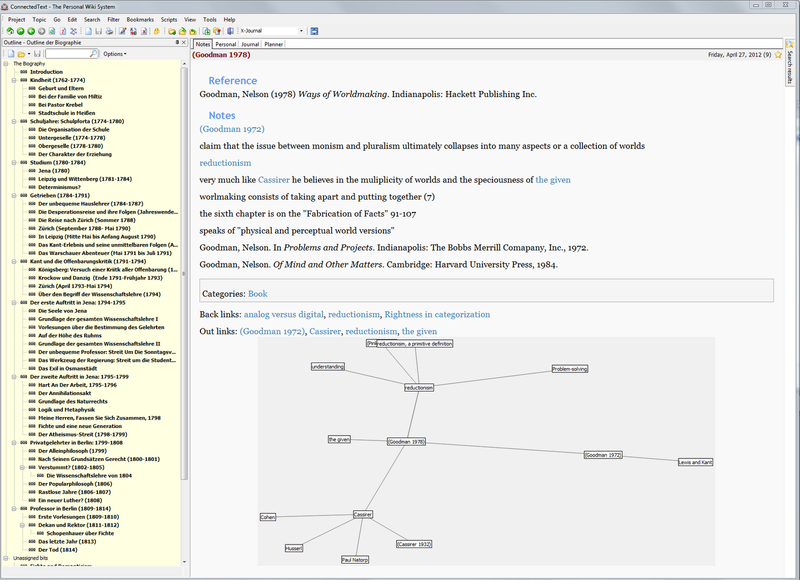 The network mode represents the exploratory phase, and offers clusters of ideas. 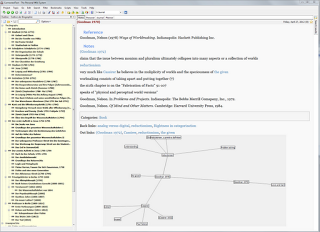 The tree mode is essentially an outline, while the editor mode is simply an edit window for the concept under consideration and the text mode an editor for the document as a whole. What I find amazing is how closely the picture corresponds to my setup of ConnectedText. (I must have read this paper before and it may have unconsciously influenced me). The order of the elements is, of course, not the same. 1. What corresponds to the editor and text modes is not visible at the same time, however. What I miss in scrivener and Ulysses is the network mode. Link doesnt' work? "can't find the server at www.dtic.mil"? Works for me. Just tried it again. It's study published by the United States Army Research Institute for the Behavioral and social Sciences. Perhaps it will not work outside the U.S.? I don't know. It makes Preview pop up in Firefox on my Mac. Still doesn't work for me in FF, but I pasted the link into Chrome and got it. Thanks. Very interesting. 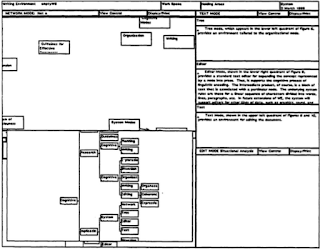 Are you familiar with Mike Sharples' work on the Writer's Assistant, another early '90s initiative with common aspects? No, I wasn't, but the paper is very interesting.